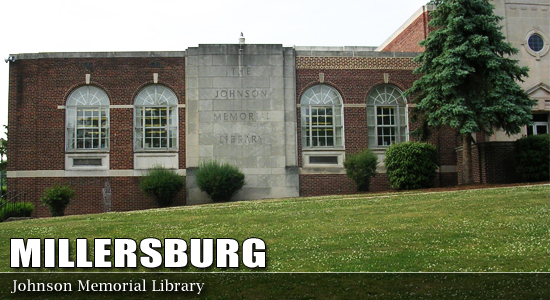 The Johnson Memorial Library is attached to the Millersburg School Complex, which houses the Millersburg Area Middle and High Schools. It is located off Route 209. Turn north onto Route 25 to Center St. West on Center Street. The library is on the right, in the Western section of the building. Proceed past the building to Seal Street to access the school lot behind the building. Parking on Center Street is not advised for handicapped access - there are multiple sets of stairs and a sloped walkway. Use the marked handicapped parking spaces and ramp in the school parking lot behind the building. To get there, take Seal Street to the school access road. There is onstreet parking as well as a lot behind the building.